The Document Library of The Vergers Guild of the Episcopal Church has almost 60 documents for your use at vergers.org/resources/library. 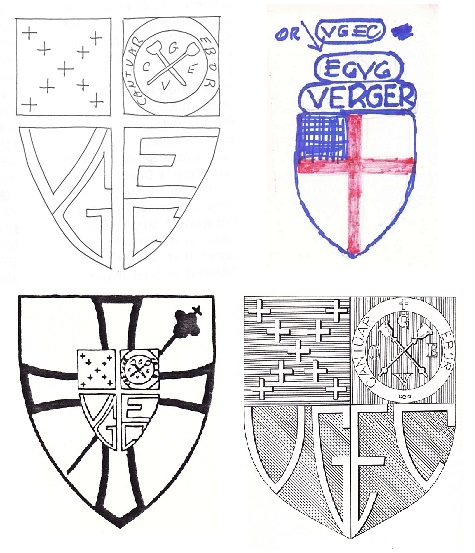 Vergers representing 17 churches in 11 states have contributed to the library. We would love to add your documents. Feel free to send anything you want to share to [email protected] for possible inclusion. 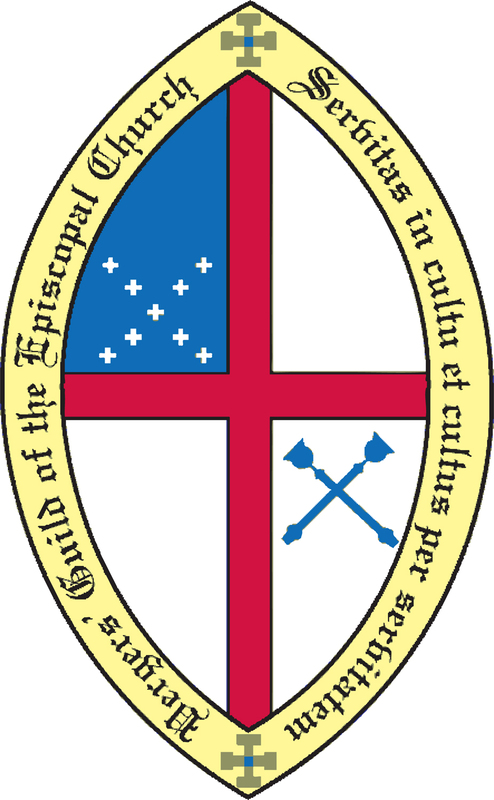 If you are tasked with a "new" service for your parish, look in the Customaries or Liturgies sections. Chances are you will find a customary you can tailor to your parish needs. 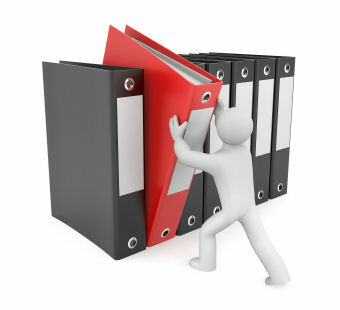 You may freely copy any of the materials contained in the Library for your own use. 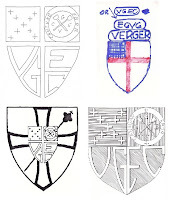 Kindly give credit to the VGEC and the source parish, and provide a link to vergers.org/resources/library in any document used from this library. You will find everything from a "Fact and Fantasy" article by John H. Betts and an article from the U.S. 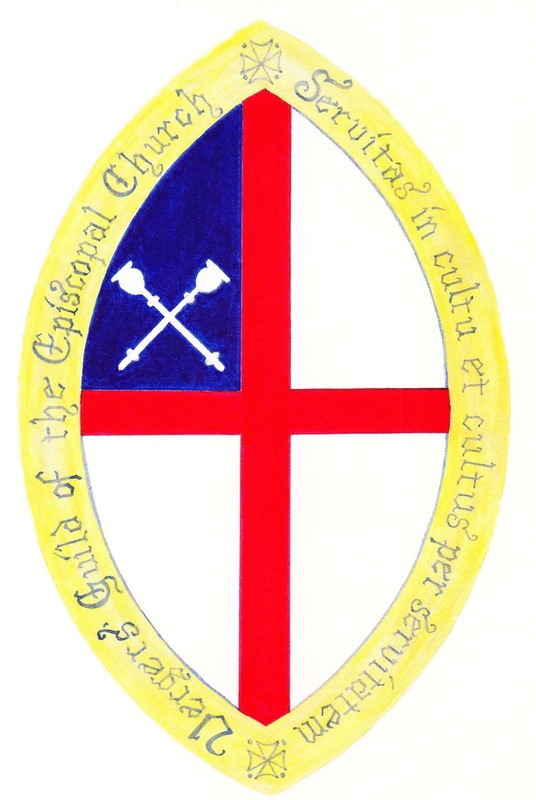 Copyright Office containing all you want to know about copyrights for your parish, to an excellent Master's Thesis titled "Walk Softly and Carry a Big Stick–with Love: The Emerging Ministry of the Verger in the Late 20th Century to the Present" by David S. Deutsch. 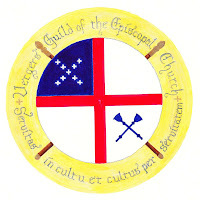 The Church of England Guild of Vergers conference is now held annually at the Elim Centre at West Malvern. It is held in a beautiful country house once lived in by Lord Baden Powell, founder of the Boy Scout movement. It boasts a large heated outdoor swimming pool, the rooms are en-suite, and the food (full board) is very good, plus hot drinks on tap with pastries all day long. We were surrounded by what must surely be the finest views of British countryside. Our conference is somewhat different to the VGEC Conference in the United States. Indeed it would be very boring if we were all the same! It could perhaps be described as contemplative and solely centered in one place. There is a beautiful old country church a few yards away that kindly allows us unrestricted use for our many services. We don’t have a banquet or tours, but I’ll let my hair down in Nashville! A typical day begins at the church with Morning Prayer at 7.30 am followed by Eucharist. A good cooked breakfast follows at 8:30. A talk or lecture takes place at 10 – noon. Then a short midday prayers followed by lunch. The afternoon lecture is from 2 – 4 pm. We also formed a pretty good choir and did Choral Evensong with the Bishop of Worcester preaching. 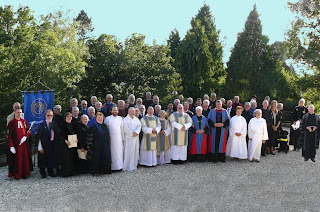 The lectures were really interesting, one of which was by our National Chaplain, Canon Maureen Palmer. Her theme was "Healing" and included a long period of silence – not easy for me, but I managed it! This was followed by a service of Healing and Anointing. Another great talk came from the Rev'd Tom Cameron on funerals and dealing with death and bereavement. In places it was funnier than you might think! After dinner each evening (playing hooky from Compline) some of us strolled down the country lane to a great old pub reputed to have the best view in the land. The fellowship between us all was tangible, and it was great to welcome VGEC member John Townsend from Nashua, New Hampshire. Our closing Eucharist was beautifully rehearsed with full ceremony and plenty of clouds from the theruble. It was a moving and uplifting service providing a fitting end to our conference. In 2014 it will be from 10th August over four nights. Hope to see some of you there. Meanwhile, many of us Brits will see you in Nashville!